While it used to be that a woman wouldn’t think of giving birth anywhere but in her own home it has become the norm in the last 80 years or so to give birth in a hospital. However, there are more women today who are choosing to have their babies at home. There is also now the option of a birthing center, which is a small maternity unit staffed by midwives. But how do you know which is the best location for giving birth to your precious child — hospital, home or birthing centre? While your decision will depend on your unique situation and preferences, knowing some specifics about each of these options can help you in making your choice. Talk to people around you, including friends, family, doulas and health care providers such as your doctor or midwife to learn about their views on the pros and cons of each location. You may also want to consider the following information. The benefits of a home birth tend to be based on the fact that it is most conducive to creating a relaxed environment with no external restrictions. A woman in labour can eat, drink, and move about as she pleases, surrounded by people and things that are familiar and comfortable. All of this can contribute to a positive and productive birthing experience. A recent North American study (http://www.bmj.com/cgi/content/abstract/330/7505/1416) of low-risk pregnancies has found that it is just as safe to give birth at home with a professional midwife as in the hospital. The study also reported that use of medical interventions such as forceps and caesarean sections was less than half those in low-risk hospitals births. In addition, studies have shown that the risk of infection is lowest in home births. On the other hand, home births do require transfer to a medical facility, if complications arise. There are also other factors to consider, such as the lack of medical pain relief options and the fact that immediate postpartum care has to be arranged. The benefits of a birthing centre have been shown to include fewer medical interventions such as a caesarean section or forceps delivery, reduced need for pain relief and greater success with breastfeeding. This has been attributed to the basic philosophy of midwives, which is to keep the birthing process as normal as possible. Midwives also have been shown to provide excellent breastfeeding and postnatal support. A study published in the American Journal of Health (http://www.pubmedcentral.nih.gov/articlerender.fcgi?artid=1447883) has also found that for low-risk pregnancies, giving birth in a birthing centre is just as safe as giving birth in hospital. In addition, birthing centres can offer natural pain relief items, such as water pools, which may not be available at home or hospital. They also tend to allow greater freedom for a woman in labour, including the option of eating or drinking. Like home births, however, transfer to a hospital is required if complications arise with either mother or baby. It must also be remembered that while medical pain relief may be available, there is generally not the option of an anesthetic such as an epidural. 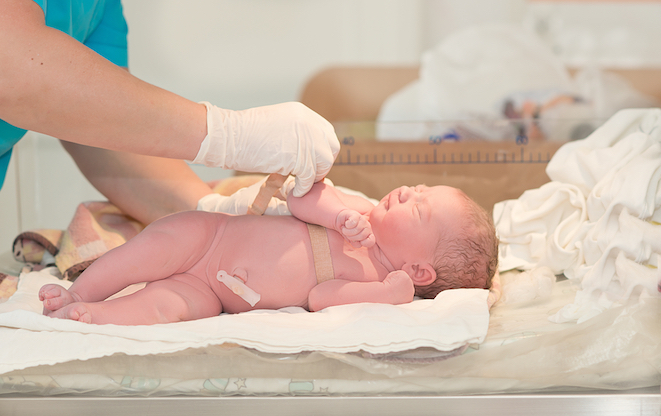 The benefits of a hospital birth include the fact that analgesics and anesthetics are readily available. There is also expanded service for high-risk pregnancies and births with complications. On the down side, hospital births tend to stray furthest from a natural delivery process, with medical interventions much more likely and an atmosphere that can be more tense due to less privacy and medical staff that are strangers involved in the birthing process. The rate of infection is also highest in the hospital. A 2008 report on the rate of Canadian superbug infections found 62 per cent were acquired in hospitals (http://www.cbc.ca/canada/story/2008/03/27/mrsa-report.html). The cost of each of these choices may be a deciding factor for some families as well, so it’s a good idea to check what your insurance covers, if that’s relevant. In Canada, this isn’t an issue because all three options are government funded.